Home » Historic Preservation » Research and Technical Preservation Guidance » Architect Biographies » John Graham Jr.
Born and raised in Seattle, John Graham Jr., attended the Moran Military Academy and then Queen Anne High School, graduating in 1925. He began his formal architectural education at the University of Washington in 1926, and then transferred to Yale, where he received his Bachelor’s degreein architecture in 1931. Due to the Depression, Graham worked in the retail business before joining his father’s architectural practice as a partner in 1937. Business was booming for the firm and at the age of 30, Graham Jr. opened a branch office in New York City with engineer William Painter as a partner. During the late 1930s, Graham focused his work on designing retail spaces. With the outbreak of WWII, the New York office closed and Graham turned to the design of war housing, developing several large FHA housing projects including Suburban Heights (1944) and Sunny Brook (1942) in the suburbs of Washington DC, and Edgewater Park (1939) in Seattle. During this time, Graham Sr. had begun transferring the practice to his son, and officially retired from active practice in 1946. 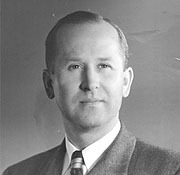 After his father’s retirement, John Graham Jr. changed the name of the firm to John Graham & Company and began to design large shopping malls, a new concept at the time. By 1949, the firm employed thirty-two draftsmen, designers, structural, mechanical and electrical engineers. Among the more noteworthy projects were Northgate Shopping Center in Seattle (1950), Capitol Court in Milwaukee (1957), and Northshore Mall in Peabody, Massachusetts (1958). The firm went on to specialize in multi-million dollar regional shopping centers and designed over seventy throughout the country. They also designed a variety of schools, churches and factory buildings. Graham had a reputation for correctly assessing a project's schedule, budget and feasibility, and this earned him the title "a businessman's architect." He was licensed to practice in ten states and was favored by many developers, corporations, and institutional clients. Among the over 1,000 projects by the firm is Washington Natural Gas Headquarters (1964), Olympic Hotel parking Garage (1965), the 42-story Bank of California Building, the Westin Towers (1969, 1982), 1600 Bell Plaza (1976) and the 44-story Wells Fargo Building in San Francisco (1966). Graham’s most well-known project was the 600 ft tall Space Needle for the Seattle World’s Fair. While the initial design was claimed by Graham and fellow architect Victor Steinbrueck, it was Graham’s firm that executed the final design. Under Graham’s leadership the firm became one of the premiere commercial architectural firms in the United States. John Graham Jr. died in Seattle on January 29, 1991.